Ever felt like you just could not possibly be reading the same book as everyone else? Much like Christopher Moore*, the cult of Jasper Fforde is unfathomable to me. There’s nothing wrong with The Eyre Affair at all, but after having the book recommended to me time and time again, not to mention reading the praise at the beginning of the book (I always do – if I read a book, I read every word on every page except the copyright and advertisements. This is far from the most obsessive-compulsive thing I do with books, so lets leave it.) I was expecting something…more. Maybe that’s the lesson? Go into books without any preconceptions? But how can we really do that? For one thing, it’s almost impossible not to have some sort of preconceived expectations for the classics like Austen or Shakespeare or Dickens. For another, there is so much published nowadays, most of it over $20, all of it taking a significant amount of time out of our lives, that we want what we read to be worth it. And there’s no way to know until after the fact, so reviews and recommendations from friends are simply the best, if not only, way to go. 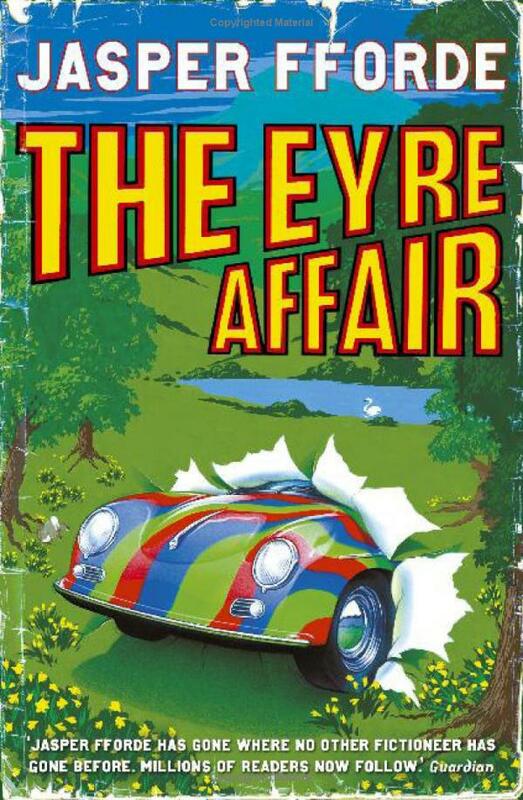 So I picked up The Eyre Affair expecting something awesome, something engrossing, something with imagination like Lewis Carroll and humour on par with Wodehouse (if not exactly Wodehousian). But I’m sorry, I just don ‘t consider a character named “Jack Schitt” evidence of clever wordplay. And please don’t even talk to me about Paige Turner. That’s not to say the book wasn’t enjoyable. I read the whole thing, which is more than I can say for any work of Nicholas Sparks’. I never once felt like hurling the novel across the room, which is more than I can say for Atwood. The story is well thought out and well paced. It’s pretty imaginative, and the characters have personalities. But, at the risk of sounding like a stuck up book snob, a lot of the “clever plot twists” and “witty wordplay” were fairly derivative (okay, I sound like Sheldon, and I have been watching a bit too much Big Bang Theory, but hey, at least I’m not stating that I could do any better. Although I totally could. Alright, actually I couldn’t.). For example, the time travel portions of the book offered nothing new, the love story was predictable (although I was impressed at the reason for the fight, which was actually pretty realistic, and you could understand both characters’ sides), and while a society fixated on books and literature as though it was the newest Apple technology is a pretty awesome idea, it just felt a bit too much like Fforde thought so too. In fact, it seems that Fforde was quite impressed with himself throughout a lot of the book. Not insufferably (like how I imagine Atwood standing over her readers with a mallet shouting “DO YOU GET IT? DO YOU UNDERSTAND HOW SMART I AM?”), but just like a guy who laughs at his own jokes before he’s even finished telling them. So it wasn’t my cup of tea. Despite the abundance of complaining in this review, it wasn’t a bad book, either. I was just disappointed. On the plus side, all works published by Fforde do seem, pleasingly, to be published with similar covers. This makes me happy. I believe this was Fforde’s first novel, and it shows. It’s put together well, but there are clumsy parts. A lot of what I didn’t enjoy could be put down to lack of experience, so if anyone wants to let me know that his next few are SO MUCH BETTER, I could be persuaded to give them a go (or it could just be his style, and we’ll have to agree to disagree). **Don’t talk to me about libraries.